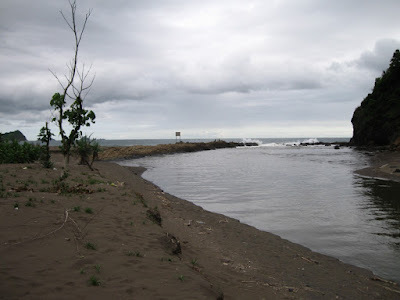 Watu Ulo is a beach about 40 kilometers south of Jember. It literary means "Snake Stone." The stone resembles a giant snake indeed. During the Japanese period, Japanese soldiers made a fortress inside a cave on the beach. Now it is called Gua Jepang.